Which is Better? Ambulatory Phlebectomy or Sclerotherapy? Many people assume that Phlebectomy is “vein stripping” when it is instead a minimally invasive procedure. Vein stripping was primarily the only way of treating varicose veins 20 years ago, but not now. It would involve using surgical incisions on the leg and then the whole saphenous vein was stripped out, which was a painful surgery requiring sedation and usually left big scars. This didn’t even involve any surface veins. The spider veins called telangietasias, venulectasias and reticular veins and varicose veins still needed to be treated after the stripping. If the vein is near the skin’s surface, it may be possible to remove it through a tiny incision that does not need stitches; this is called an ambulatory phlebectomy, meaning performed in an office using only local anesthetic and maybe an oral valium or lorazapam. Vein ligation and stripping successfully removes varicose veins in most people. The procedure does not require a hospital stay, and most patients can return to work in a few days. 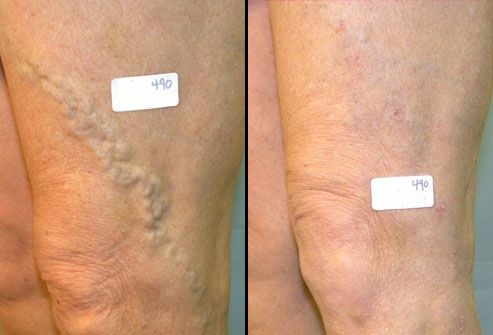 Surface veins, like these in the pictures above, are considered cosmetic and the treatments of sclerotherapy and possible superficial lasers are considered the gold standard. The medicines, called sclerosants are not painful. Tiny 32 ga. needles are used to treat and close these veins. The advantages of Ambulatory Phlebectomy is a faster recovery due to a one-time removal, vs multiple sessions which can cause staining and matting caused by retained blood or thrombus. Some disadvantages are a lingering numbness, otherwise known as paresthesia, pchance and possible infection. Technical skills are mandatory for performing this procedure. Compression stockings over the bandages for 48 hours then patients can bathe and just apply their stockings daily for 2 weeks. Immediate walking with leg elevation and ice packs for first 24 hours, then 30 minutes a day of walking. Abstain from weightlifting, heavy straining, hot yoga or baths until the tiny incisions are healed, about 5-7 days. Blood clots after surgery are rare with proper compression and walking routines. 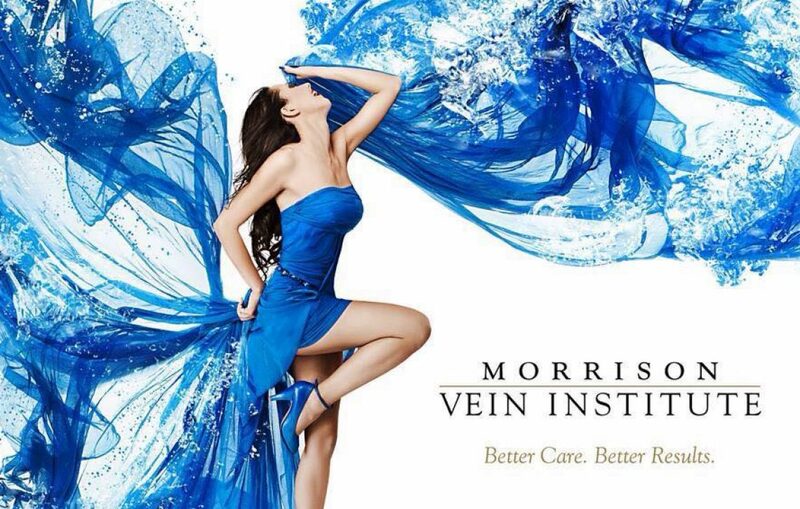 Please call Morrison Vein Institute at 480-775-8460 or contact us online for a free informational screening and compression stocking fitting appointment. We can thoroughly evaluate your veins and suggest the next steps for healthier legs. Previous Is There a Link Between Varicose Veins and Restless Leg Syndrome?